Fertilizer is one of the most important management practices used to determine turf grass quality. Fertilizer will affect the general health of the plant. The healthier the plant is, the better the turf grass can compete and tolerate competing pests, like weeds, disease and insects. A high quality thick turf will naturally cut out weeds and decreasing or even eliminating the need for herbicides. Also a greater number of insects can be tolerated before an insecticide application is needed. Diseases will also become less likely to occur and will have less of an impact on the aesthetic value of the turf. The nutrition of the plant will also control how often of mowing events are scheduled. Most weed seeds germinate by becoming exposed to the sun. A dense healthy canopy will provide shade to the soil with the leaf tissue of the turf grass plant and prevent the weed seed from germinating. Bio Green lasts longer in the soil, which means it is cheaper in the long run. Artificial fertilizers need 4 applications compared to organic fertilizer’s 2 applications, and can burn the roots of plants. Organic fertilizers do not destroy beneficial microorganisms and earthworms and increase a plant’s resistance to disease. 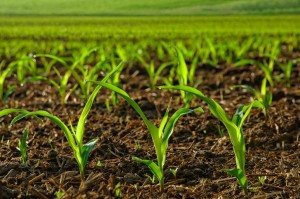 Artificial fertilizers do the opposite which works out nicely for the manufacturers since they sell more insecticide, fungicides and other chemical poisons. Plants become addicted to the chemicals. Studies at the Alabama Polytechnic University have shown that as much as 50% of the synthetic derived nitrogen applied to the soil will be leached out and lost anyway and the half that does reach the plants may in fact be harmful. Other studies have shown that only 5-10% make it to the plant and the rest is wasted and pollutes the environment. A series of investigative reports (copyrighted) by the Seattle Times Newspaper has found that many companies that manufacture synthetic fertilizer add hazardous waste and radioactive waste to their fertilizers. These extremely dangerous wastes then end up in our food supply or in our yards where our children play. B&A also carries Bio Green plant and shrub feed, which is also organic. Many studies since then have confirmed that insects and diseases are attracted to plants that have had artificial fertilizers applied. The University of California at Berkeley has found that broccoli and other vegetables fertilized with organic fertilizers attracted less pests (aphids and flea beetles) than those with chemical fertilizers. Also, evidence is accumulating that synthetic fertilizers are ineffective and have harmful side effects. Synthetic nitrogen fertilizers increase the amounts of toxic nitrates in dietary intake. According to the National Research Council, 6 of the top 7 and 9 of the top 15, foods with oncogenic (cancer causing) risk are produce items with high nitrate content from pesticides or nitrogen fertilizers. A 12 year study comparing organically grown versus chemically grown showed that chemically grown foods had 16 times more nitrate (a carcinogen), as well as vitamin C content decreases in crops as the use of synthetic nitrogen fertilizers increase (Soil Scientist, USDA). Excess synthetic fertilizers can also reduce carbohydrate synthesis which results in lower glucose content which affects taste. Organic fertilizer does require more organic products than mineral products, may cost more per application, and could take 2-3 years to rebuild the soil, but it does provide safety to people and animals, promote a healthier environment, will not damage or burn the plant, and builds stronger plants over the years resulting in less pesticide use. We highly encourage the use of organic fertilizers and are proud to use an environmentally safe product that we can stand by.